Warning: IIf you are pregnant, nursing, taking any medications or have any medical condition, consult your doctor before use. Discontinue use and consult your doctor if any adverse reactions occur. Keep out of reach of children. Store at room temperature. Do not use if seal under cap is broken or missing. Warning: THIS PRODUCT CONTAINS A CHEMICAL KNOWN TO THE STATE OF CALIFORNIA TO CAUSE BIRTH DEFECTS OR OTHER REPRODUCTIVE HARM. Spirulina Powder is rated 3.9 out of 5 by 7. Rated 5 out of 5 by 50something from Feel more energetic Notice difference it alertness after having it in the morning. Like that it’s tasteless so it blends well with fruit juices. I find it dissolves better with hot water first. Rated 4 out of 5 by Minah from Half full The only reason I didn’t rate it 5 is because the container is half full. I blend this with fruit smoothies so far. No taste just rich color and nutritious. Rated 3 out of 5 by SP259 from Good product BUT half EMPTY I bought this product after great reviews. Reasonably priced. I was really shocked when I found the containers more than half empty. I love many of the Vitamin world products but I'm not sure if I would buy this product again from Vitamin world. Very disappointed!!! Not sure how Customer service could have helped me with this matter, since I bought it from the store. 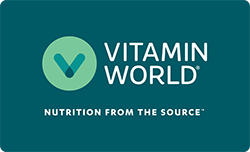 Honestly, I would rather get another container of Spirulina rather than to get my money back because I love Vitamin world. I wish that is a way to upload pictures because I wouldn't mind sharing the contents. Rated 5 out of 5 by Anonymous from Excellent Product I bought this for the first time, looking for the super foods for my health. I put it in my protein shake everyday. The first time I used the suggested serving of 1 Tbsp, I found this to be overwhelming and it turned my blue drink to green, although it wasn't bad I just wasn't used to it, so thereafter I put a teaspoon in and this is perfect, I know the product is working and I feel Great! This item was the best health decision I feel I've ever made, and I hope everyone uses it too! Rated 3 out of 5 by queenofthick from My 1st time using Spirulina I went into the vitamin world store near me to purchase Spirulina for the 1st time after reading about all the great benefits. The price was not all that high however the container is almost empty when you buy it . There is hardly any product and that was disappointing. The first few times it was hard to get this down because of the foul smell and swampy taste. I am now use to the taste and actually crave Spirulina, hopefully this isn't a bad thing. It also turns my b.m green if i eat it after a meal. I have been working out and eating healthy so I think it's important that your just not using Spirulina. You have to put in work in order for it to work. Rated 2 out of 5 by cllo100 from Densely GREEEEEEN! Spirulina powder turned out to be way too green for me. I felt like a wanna-be frog when I drank it. I added only 1 teaspoon (dosage was 1 Tblsp) to an orange banana smoothie and really wanted to like it. I believe in it's health benefits but don't know how to get past the algae flavor.